Just this week I’ve been hit with need to purge our bedroom and start packing up our basement. Each day I wake up and have this incredible need to sort through our wardrobe, a pile for Goodwill and a keep pile. I’m ready to reclaim our bedroom, mainly our dressers and closet. How do we manage to always have articles of clothing lying around? No matter how hard I try there is always a laundry basket filled with clean clothes that seemingly has no place to go. This is a dumb problem, people. It’s time to do something about it. Sort and donate and then donate some more. You may have caught the pack up our basement bit too. I’ll do a full explanation soon but for now here’s the quick update. We plan on moving about an hour away to be closer to Brent’s work. When my husband got this new job we were relieved and excited, it has been such a good change for us both financially and for his well-being as a human. However it takes just over an hour to get to work and then back again, he’s averaging around 700 miles a week. So we planned to move closer to his office and then boom- positive pregnancy test. We have been blessed with an amazing doctors and nurses so the idea of packing up and moving in the middle of my pregnancy just didn’t feel right. We’ll stay planted here in our little town until our fella joins our family in late December. Our plan is to move in February. The need to have our house in a more prepared state both for new baby and big move is becoming increasingly more needed. From now until October we have weekend plans with friends, October holds a few family gatherings and the official ramp up of the holiday season. November of course is completely dedicated to Thanksgiving, well for me any way. Our plan of action is to have our entire basement (and a few other household belongings that won’t be needed) boxed up and loaded into our storage unit in the city by November. So is it nesting or just a good case of the lets-get-stuff-done-time-is-ticking-away. I’m not sure but I’ll take whatever extra motivation you have hanging around your house! Maybe this will keep me accountable, I’ll keep you posted! Thankfully no one does a while glove test on blogs, otherwise I would have failed miserably due to my lack of care and attendance on this little section of my online presence. Clearly I’ve put more neglect into my blog than effort. If I’m being real honest this has been something that I’ve always struggled with, follow through. I always have the best intentions for new hobbies, big ideas, family organization plans and nearly every time along the way these extras get left on the wayside. I hate the word lazy and I don’t feel like it truly applies to me but in this area I certainly don’t have that go get ’em gumption. A new season of life is starting in our family and once again I have the urge to do my best at getting back at this little time capsule hobby. At first you don’t succeed try try again. 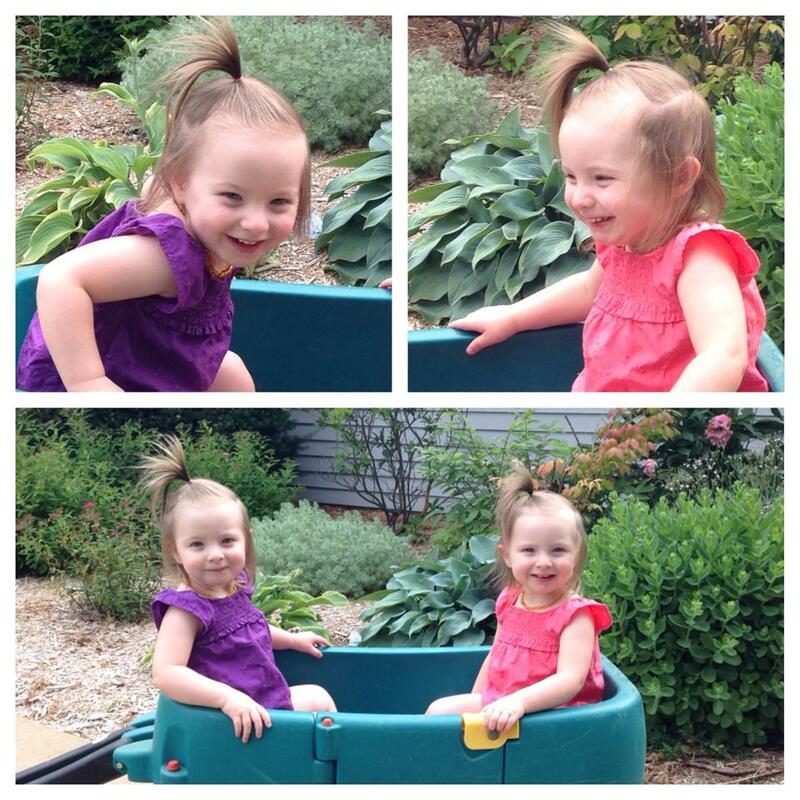 Our twin daughters, Eili Jane and Ingbritt turned two at the end of June. I’m not entirely sure how it happened but time marched quickly and continues to with an every steady rhythm. There are moments that I feel like the girls were just born, shouldn’t they still be tiny and cuddly? Then it feels as though they are two going on thirteen, when did they get so big and where did all that sass and fire come from? Big personalities are bursting forth in the most awesome and terrifying ways. It’s always an adventure with them, Brent and I just try to keep up. They certainly keep life fun and interesting. And apparently I also like to keep things fun and interesting by surprising our families (including Brent and myself) with a pregnancy. That’s right, baby number three is on the way and due late December! This was such a shock to us, never saw it coming. We are excited to be welcoming our littlest one in a few short months. If you’re wondering, we’re having a little boy. From the moment I found out I was pregnant I just knew we were having a boy, I never had a real feeling with the girls and my guess was wrong anyway. At 16 weeks when it was confirmed with an ultrasound that our littlest is a boy Brent and I were super excited…and continue to be! I suppose that’s the long and short of it, for now. Lots of other big adventures coming up too, in fact just after baby brother gets here we make another big more permanent move. Always keeping our friends and family on their toes! I took these pictures of the girls on their second birthday this summer. Ingbritt is in purple and Eili is in pink. My sweet little gals. The girls are 14 months old and I can barely believe it! They’ve grown into such fun and loving toddlers. Gone are the days of sitting around snuggling up with a warm bundle of baby, we’ve traded that in for games of chase, patty cake and toddler babble. It’s hard to let go of each stage but with the grief of each stage passing comes excitement and joy of watching the girls grow into ‘real’ people. This week Eili was diagnosed with croup. Ugh, it’s awful. Her happy self has been watered down with a sickly and unhappy lass. We’re doing our best to wash our and their hands extra, keeping their cups separated with hopes that Ingbritt will stay healthy. In the middle of all this my latest voxbox from Influenster came in the mail! Perfect timing because it was the Braun Thermoscan5 ear thermometer. Hallelujah! Checking Eili’s temp has been such a breeze with this fantastic gadget! We gladly said our goodbyes to our under the arm thermometer, no more holding a wiggly kiddo down hoping to get an accurate reading. My husband and I truly have been impressed with the thermometer. It’s simple and easy to use, no muss no fuss. If there has to be a negative it would be that you’ll have to stocked up on the ear shields. Which really that’s no big deal, it’s not like you need to use a thermometer every day. Next time you’re in the store check it out! I’m sure you wont be disappointed!! If you haven’t checked out Influenster yet run on over to their site! I received my Braun Thermoscan5 as a complementary gift to try out! How wonderful is that! Hope you all have a great week and stay healthy as we head into Fall! I know that I’ve neglected my blog for months now. So much has happened since I last jumped over here. A job loss, moving to another state, the girls turned one year old!..lots of life has happened. Although a new family routine is fairly established in our new home, I can’t say that I’ve been great at getting back into the social media scene. My mug hasn’t been on YouTube since August. As I’m doing best to find a place that I feel most comfortable expressing myself, I stumbled on Influenster. How am I just learning about this awesomeness?! I received my first voxbox. The TLCvoxbox to be exact. The first thing I noticed was the coupon for the Breyers gelato-yum! Talk about addicting. I’ve been able to sample Ivory soap, Avon’s Anew, the already mentioned gelao, Neo to go by Neosporin and the Shell fuel rewards card. If you haven’t looked into signing up with Influenster I highly recommend it. There’s no monthly fee required- it’s all complementary! Enjoy! Clearly something I can be very good at. My last post was far more than a month ago, more like a couple months ago. I’m disappointed in myself, if I’m being honest. Learning to balance the things I love with being a stay at home mom has been a true struggle for me. In fact, where I once felt such support and connection now feels more like acquaintances. Just in case you’ve stumbled here by chance, I’ll quickly explain. I have had some sort of internet presence since 2006. I started my first blog which feels like forever ago now. The best and most lasting presence I’ve shared is of course on YouTube. My first vlog went up in Winter of 2007. YouTube is my best and most lasting because of the friendships and support I have found in the TTC/mommy community there. What was going to be a dorky hobby of Doctor Who gushing and recounting life as it happened turned into something different quite quickly. Somehow I found women, just like me struggling to conceive…and they were being open and honest about it! Whaaa! Those women gave me the confidence and permission (that I didn’t even know I was asking for) to start vlogging my road to motherhood. This year I would love to be able and devote two days a week to doing more things that I find joy in, outside of being mom to two amazing baby girls and wife to a loving husband, of course! Motivation and I tend to be in a long term game of hide and seek, this year I’m hoping I find all of it’s favorite hiding spots. I guess we’ll see how good my skills are in the art of childhood games. Wishing you all a happy and healthy 2014. Here’s to new beginnings and motivation that is peeking just around the corner! 6am is approaching and I am engulfed in a symphony of sounds. The heavy breathing of my husband, the white noise in the nursery, baby grunts and the ever constant chirping crickets. My heart is full in this moment. I never want to forget this feeling of complete contentment. This is my life, imperfectly perfect. Ah! Do you smell that? Indeed, it’s the scent of pumpkin spiced coffees. That can only mean one thing. Fall has arrived and people everywhere are breathing one collective sigh. Saying goodbye to Summer’s oppressive heat and welcoming the crisp air front from the North. It’s wonderful. Brent and I said our goodbye to Summer by celebrating with our first crock pot of chili. Yum! We also did a farewell dinner with our close friends. One last big bar-b-que to close the season out! Fall is my most favorite season. And this Fall is bound to bring many new memories and traditions. The last couple of days I’ve used my down time (aka both babies are napping, hurry do something productive) planning October adventures for us. In our area we have several different farms to choose from for exploring and pumpkin patch picking. Lets not forget the already-on-the-calendar bonfire with our friends. The best part is, Brent and I will be doing all of this with our daughters. Sure, they’re only 3 months old but this is where memories are made and traditions created! We’ve been looking forward to this for so long. As silly as it may sound, I can’t wait to have four pumpkins sitting on our porch. You can bet there will be lots of picture taking and a couple of blogs here and there. I would love to hear about your Fall traditions! Hayrides, bonfires, pumpkin patches and comfort food- happy Fall to you! Enjoy the cool air and the warmth of hot apple cider! Cheers!